USPA NEWS - UN Climate Change, 15 January 2019 – The provisional program for Africa Climate Week 2019, which is being hosted from 18–22 March in Accra, Ghana, has now been published online – showcasing a dynamic schedule of activities that will demonstrate enhanced ambition across the continent. Full details concerning topics and speakers will follow in due course. Hosted by the Government of Ghana, the event arrives in the wake of the COP24 international climate negotiations, which concluded with the successful finalization of the ‘Katowice Climate Package’ on 15 December –also known as the Paris Agreement Work Program. It therefore represents the first major climate-orientated event in 2019 that will promote the Program’s ‘guidelines’ as the underpinning to practically implement the Paris Agreement. 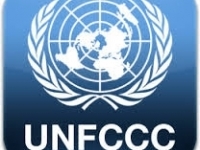 The timely completion of these operational elements – and the ramping-up of national ambition relating to reducing greenhouse gas emissions, adapting to the inevitable impacts of climate change and support for developing countries to take climate action – will be critical to achieving net-zero emissions by 2050 and, ultimately, keeping the global average temperature rise to as close as possible to 1.5°C. 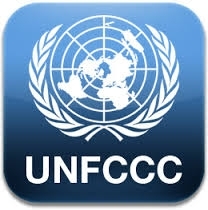 In terms of climate action, 2019 is already being hailed as the year of ambition, since the world has until 2020 for countries to come back to the table to revise their national climate action plans (also known as Nationally Determined Contributions, or “NDCs”. This is why United Nations Secretary-General António Guterres is convening a landmark Summit in New York this September to spur global leaders to pledge stronger commitments to reduce emissions and strengthen resilience. In acknowledgment of this Summit as the ‘headline event’ of the year – and recognizing that the Regional Climate Weeks are the obvious stages to precipitate momentum in developing countries in the lead-up to September – Africa Climate Week has firmly aligned itself with the New York event – firstly, by matching its overarching theme “Climate Action in Africa: A Race We Can Win” with that of the September Summit and, secondly, by selecting three of the Summit’s six ‘transformational areas’ as the focus of its thematic sessions on 21-22 March: Energy Transition, Nature-Based Solutions, and Cities and Local Action. The other three areas of the New York Summit will be Climate Action and Carbon pricing; Reducing Emissions from Industry and Building Resilience. Meanwhile, the high-level segment, which takes place on Wednesday, 20 March, will bring together Ministers and senior leaders – including UN Climate Change Executive Secretary Patricia Espinosa – and focus on areas such as: visions for Nationally Determined Contributions (NDCs) enhancement and implementation; carbon pricing and markets, as well as the operationalization of the ambition cycle in the Africa region. Governments, private sector and other non-Party stakeholders will gather in Accra throughout this Climate Week – which also incorporates two days of affiliated events throughout 18-19 March – to promote the critical work under the three transformational areas via the three levers of policy, technology and finance. The Africa Climate Week is the first of three annual regional climate events this year – the latter two being the Latin America & Caribbean Climate Week and the Asia Pacific Climate Week – information around each of these events will be released shortly. The Africa Climate Week is being orchestrated by a number of core partners, including World Bank Group, African Development Bank, West African Development Bank, CTCN, UNEP, UNEP DTU Partnership, UNDP, IETA, Marrakech Partnership and UN Climate Change. Broadly speaking, the collective goal of these Climate Weeks is to support the implementation of countries’ NDCs under the Paris Agreement and climate action to deliver on the Sustainable Development Goals. In so doing, they bring together a diverse array of international stakeholders in the public and private sectors around the common goal of enhancing climate action.